“SHIFT-CTRL” as installed in the Beall Center for Art and Technology and the University Gallery, October 2000. 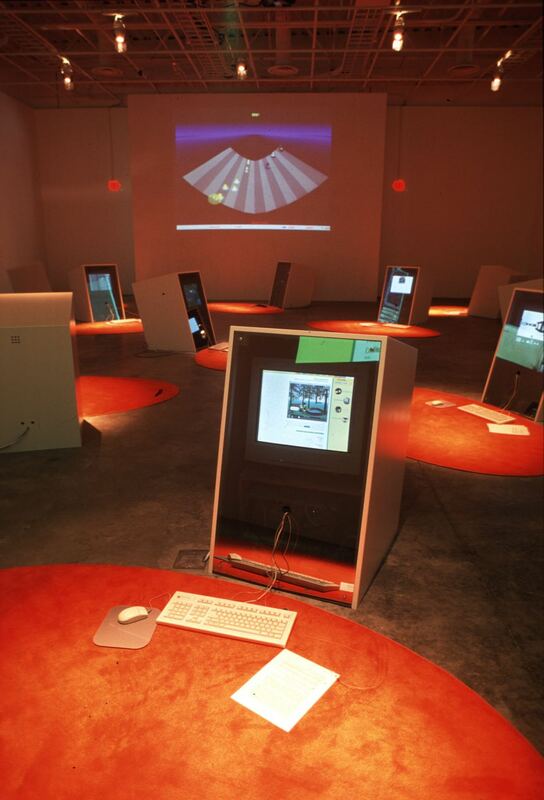 UCI’s Beall Center for Art + Technology opened exactly 10 years ago, with a ground-breaking show on computer games and art entitled “SHIFT-CTRL” that was co-curated by faculty members Robert Nideffer and Antoinette LaFarge. The Beall Center was one of the first centers to focus on new media art in the United States, and it has programmed a remarkable range of telematic performance, interactive installations, techno-art, bio-art, and other leading-edge kinds of work in the decade since it opened. The 10th anniversary is being celebrated with an Experimental Media Art Festival on 10-10-10 that is designed to be a very informal, hands-on experience. Everyone interested in new media, digital media, and experimental forms of artmaking should check it out! Meanwhile, stop in to the Beall and see their current show of interactive work by Rafael Lozano-Hemmer.